The first thing we at MoreBeer! check out is interior welds. We've spent a decade rejecting kegs made overseas because the interior welds have never met our standards. If a weld is not perfect and shows evident burn marks along with nooks and crannies it cannot be sanitized effectively. 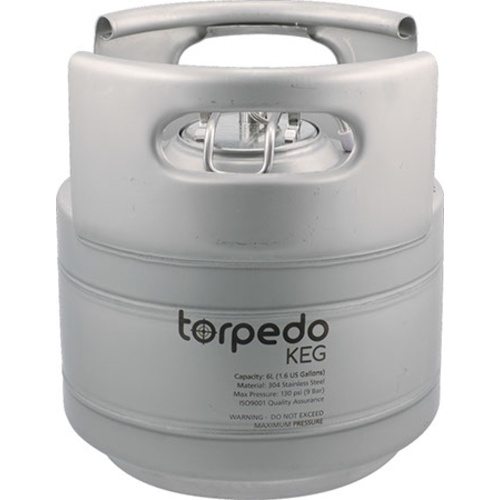 Torpedo kegs are laser welded and exceed our standards for quality. 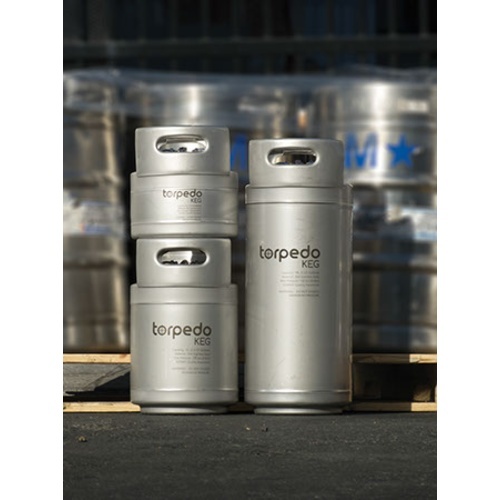 The weld quality is possible because these are the first homebrewing kegs made by an ISO certified commercial keg manufacturer. 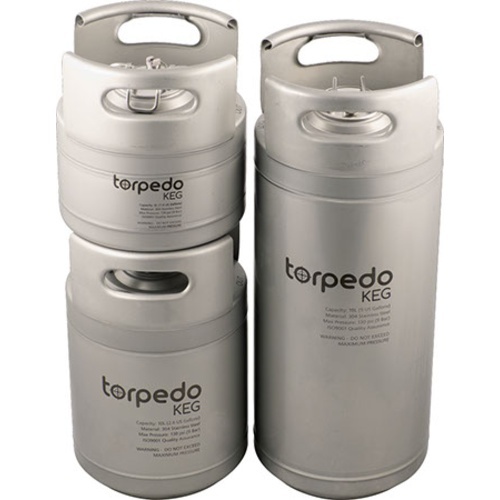 Torpedo Kegs were designed to stack with quick disconnects in place which is a cool feature for some brewers who have vertical space in their refrigerator. We also like the rolled stainless steel handles. They are comfortable to grab and will never come off like some rubber handles can over time. In and Out is etched on the keg posts for easy identification which is very handy when you are connecting lines in a refrigerator or kegerator and trying not to make a mistake. The lid fits very tightly which is great for sealing, however we found that having some CIP Keg Lube film on hand to apply to the gray keg lid feet is a good idea.